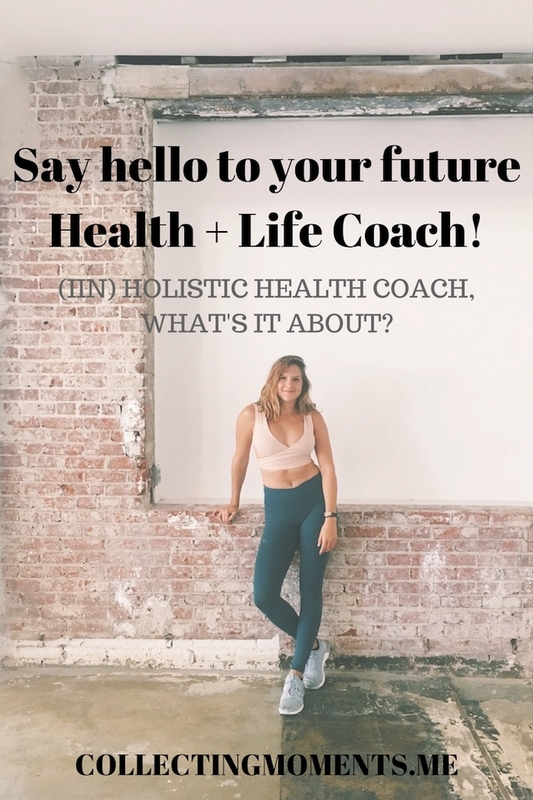 Say Hello to your future Health + Life Coach! As I briefly mentioned on my last post about my story and how I got to where I am today, not so long ago I enrolled in a program through the Institute for Integrative Nutrition (IIN) to become a Holistic Health Coach. Now, a lot of you don’t know what this means, what the program consists off or even how this affects my everyday life and could help yours, so I thought I’ll let you in on what it’s all about! These last three months have been filled with lots of changes, studying, learning and mentally preparing myself and accepting all that this new journey entails for my future--and I’m finally ready to share a bit more about it with you guys. First off, I’m a person that LOVES learning and understanding the what, when, where, why and hows of the things that are most important to me. As I’ve progressively changed my lifestyle focusing on exercising more, eating healthier and finding what truly fulfills me, I’ve started surrounding myself with like-minded people (yes, I’m thinking of you Laurianne!) who are eager to live the best life possible for themselves, follow their dreams and cultivate healthy relationship with themselves, their bodies and those around them. This is exactly what led me to IIN’s Holistic Health Coach Program. At the Institute for Integrative Nutrition, we study and learn through a 12-month program about all the realms to live a healthy and purposeful life focused on nutrition, relationships, spirituality, physical activity, and fulfilling careers, and how to obtain and maintain all of these important aspects of our lives if we don’t already have them. We are provided with all the information and tools necessary to explore what works best for each individual (since we are all so unique and different), studying over 100 different nutrition philosophies as well as diets, coaching skills, business development and self-growth. It’s an incredibly complete program and amazing journey in which you learn so much about yourself and apply all the different methods learned into your own life before starting to help others. After going through this process, you’re finally ready to start helping others. The idea of a Holistic Health Coach is to listen to our clients, understand where they’re at in their lives, and help them slowly but surely evolve into the best version of themselves. Always keeping in mind, as IIN teaches us, that primary foods (relationships, spirituality, physical activity, and career) overrides secondary foods (nutrition). What does this mean? It’s very difficult to achieve a complete state of well-being if our lives are out of balance. For example, we can be in great physical condition and eat healthy, nutritious diets, but if we’re unhappy with our careers or have unhealthy relationships in our lives, we won’t truly be the best version of ourselves because there are still factors holding us back. Holistic health coaches work with you to overcome these imbalances and truly achieve a happy way of living. I’m slowly learning, changing, and adapting what works best for me. As I progress and learn throughout my IIN program, I’ll do my best to share what I can through Collecting Moments, and hopefully that way we can learn together + from one another. If you guys are more advanced in your holistic approach to nutrition and lifestyle, my journey might serve as a great reminder for ideas to implement in your everyday life. If you’re more like me, and just slowly found yourself in this path, we’ll learn together as we go. P.S. - Feel free to ask me any more questions you may have about the program or me helping you! I’m more than happy to answer privately to each one of you or do a Q & A blog post!